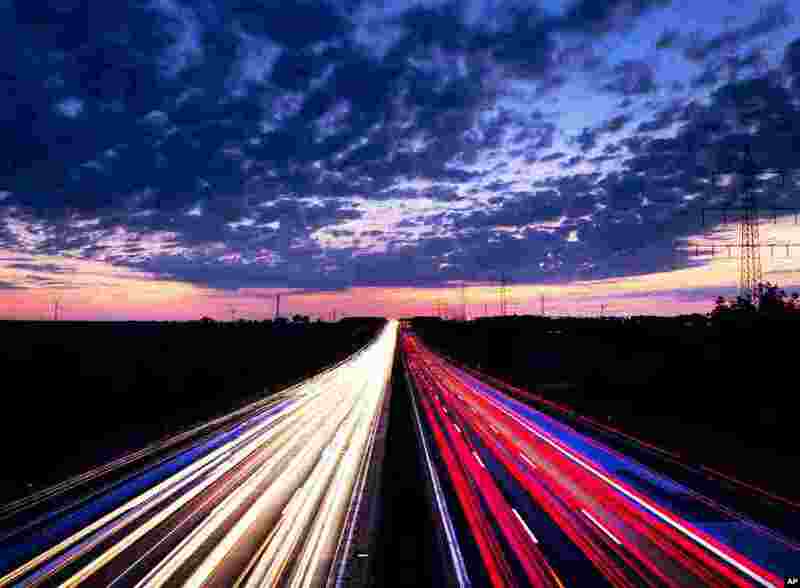 1 Long exposure picture shows driving cars on the highway just before sunrise near Frankfurt, central Germany. 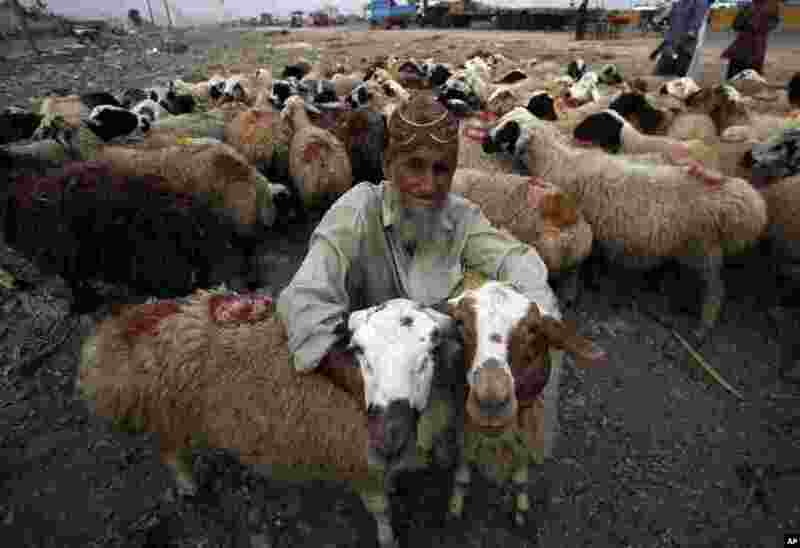 2 An Afghan refugee vendor waits for customers to sell his sheep at cattle market set up for the upcoming Muslim festival Eid al-Adha in Karachi, Pakistan, Thursday, Aug. 16, 2018. 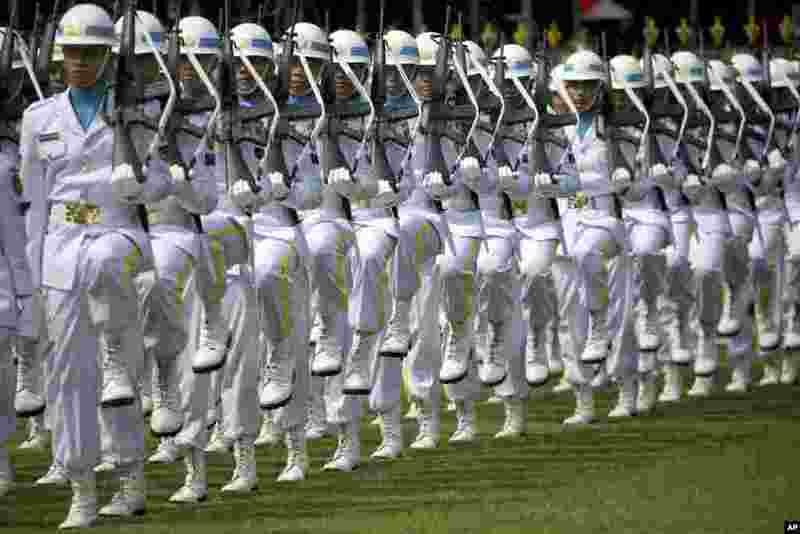 3 Members of Indonesian Navy take part in a flag hoisting ceremony held to commemorate the country' 73rd anniversary of independence at Merdeka Palace in Jakarta, Indonesia. 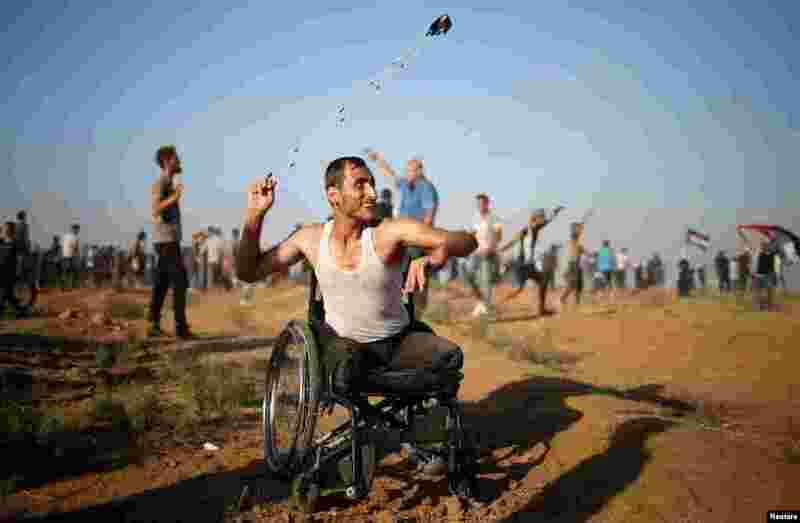 4 A disable Palestinian uses a sling to hurl stones at Israeli troops during a protest demanding the right to return to their homeland at the Israel-Gaza border, in Gaza.